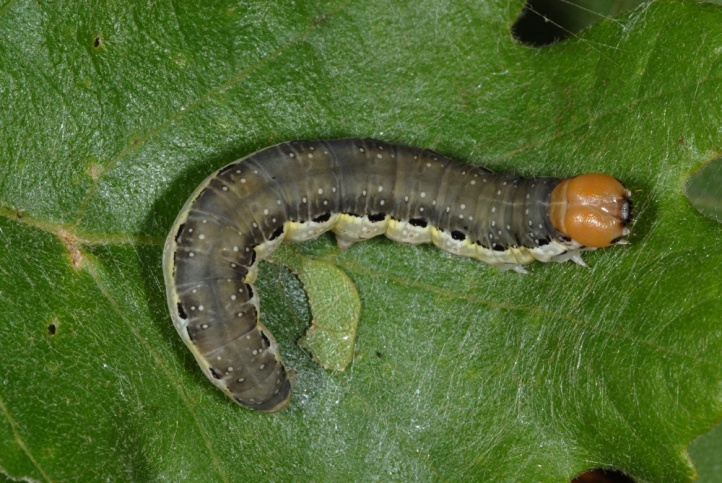 The caterpillar lives on Quercus. 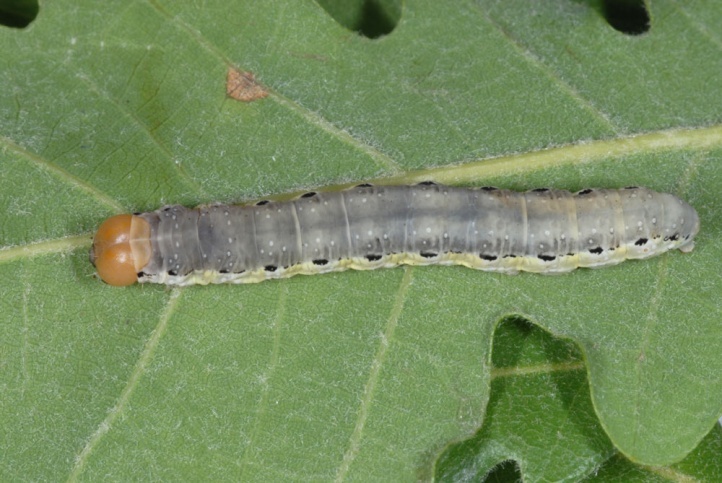 I found them in Northern Greece on Quercus pubescens and related species. 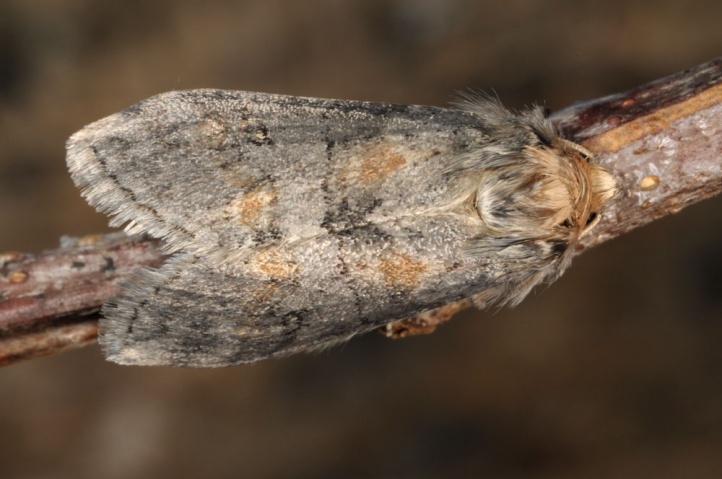 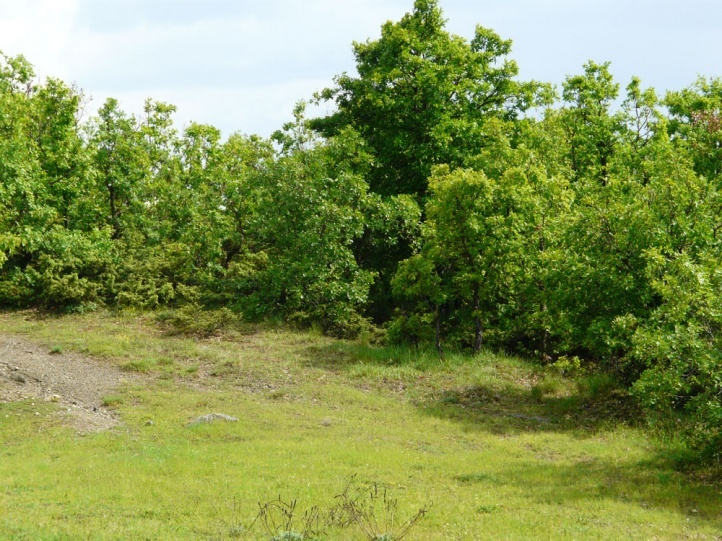 Asphalia ruficollis inhabits clear, warm dry oak forests and oak-lined dry slopes. 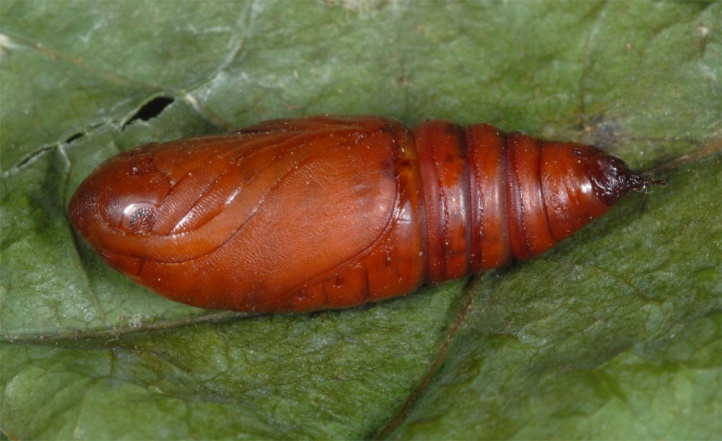 Asphalia ruficollis hibernates in the pupal stage. 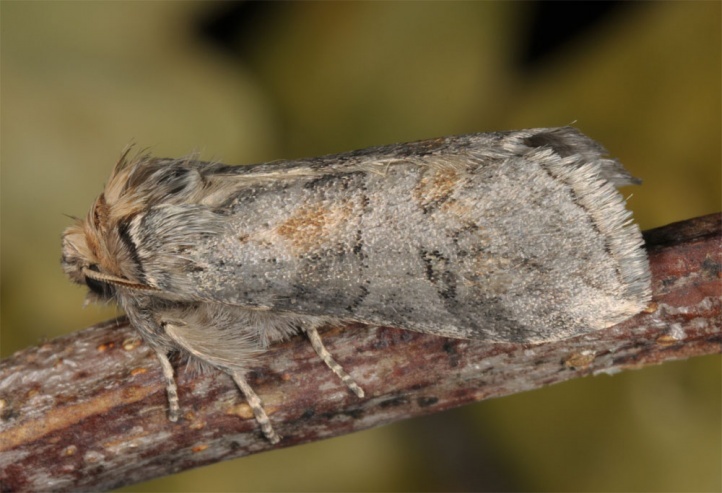 The moths fly from February to April. 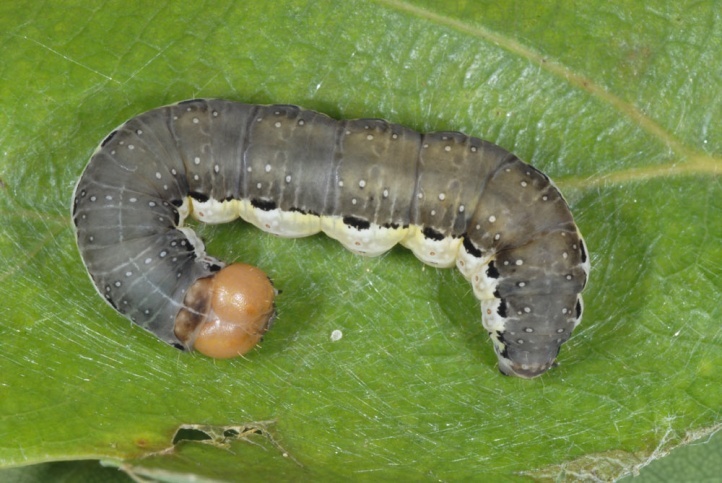 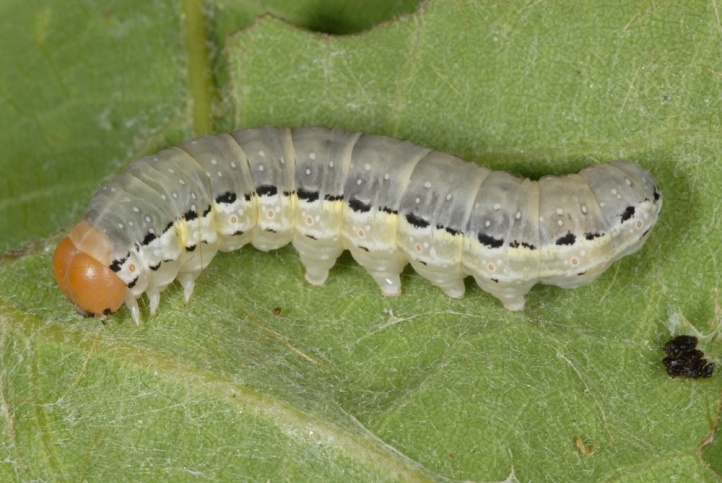 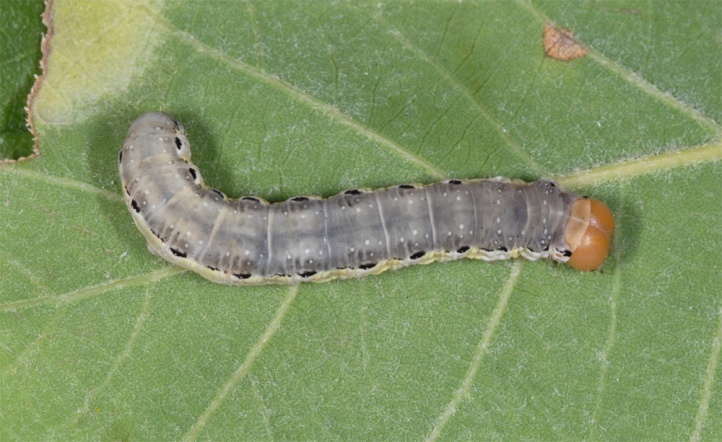 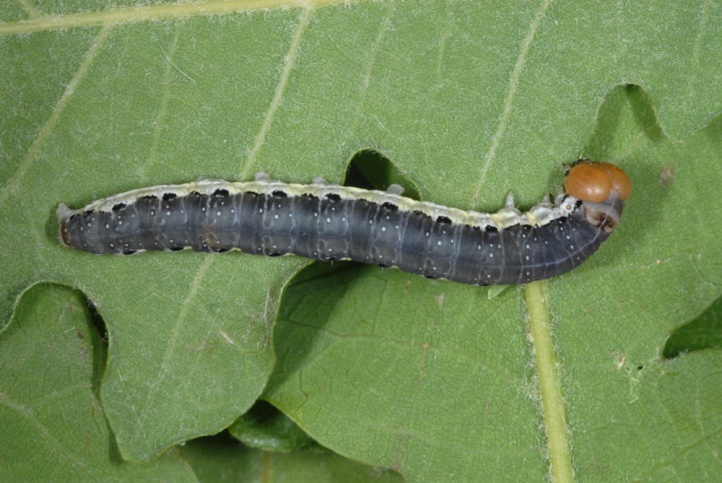 The larva can be found from April to early June. 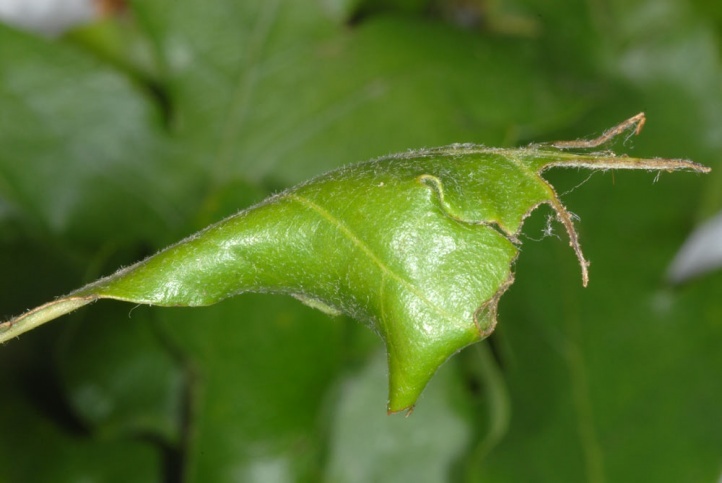 I found them in the Greek Askio and Pindos mountains in May 2010 and 2011, quite common among spun leaves. 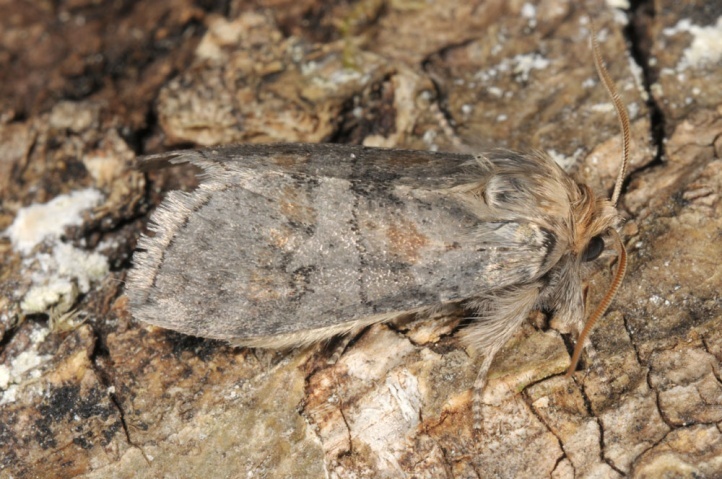 Asphalia ruficollis is distributed Ponto-Mediterranean and is found in Europe mainly in the Balkan Peninsula. 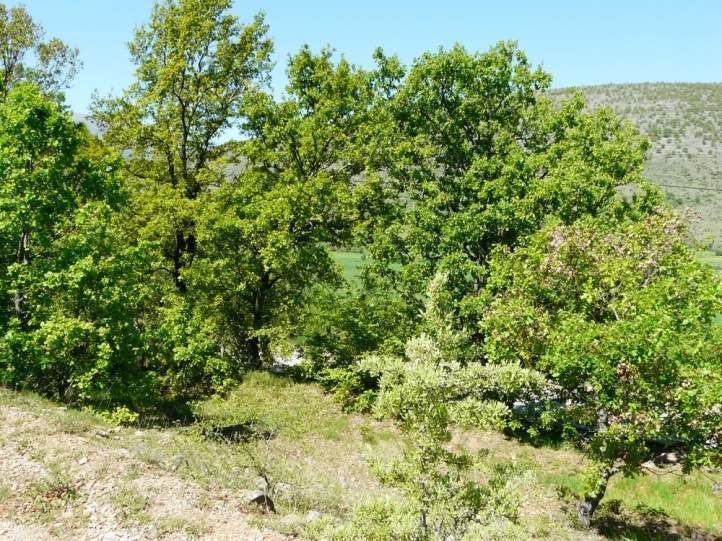 To the west, it apparently reached the extreme southeastern tip of France (where it is rare).